How long has it been since I last made a blog post? So I do apologies for the delay in my blog, really I should be posting more on here after having http://m.diettogo.com and http://www.musclefitnessandnutrition.com reach out to me regarding their “top weight loss blogger lists of 2016” and I am included in them which blew my mind. I never really knew that people read my blog, but it proves that some people do take notice. 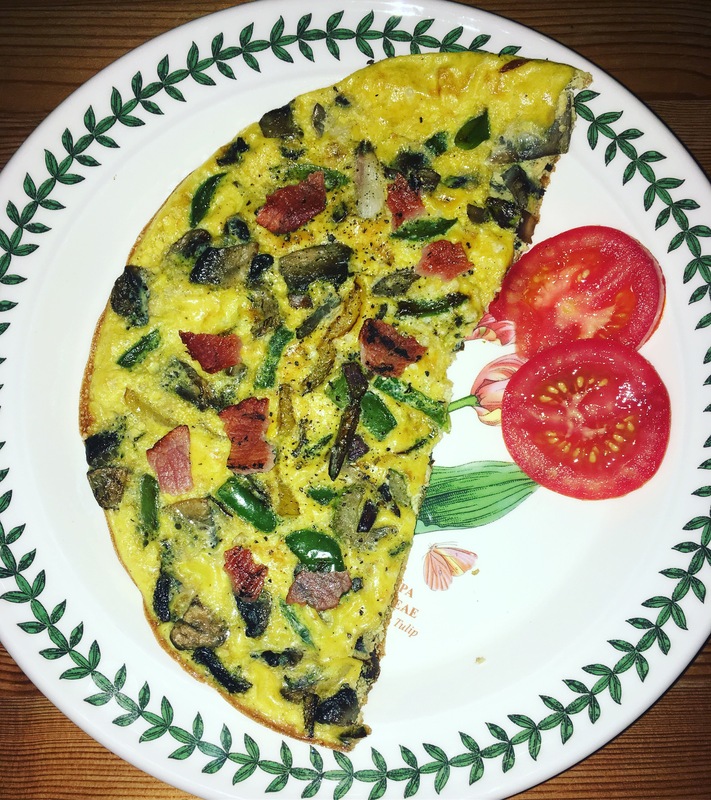 In this post I will be discussing my ‘go-to’ low carb or no carb meals. Just a quick brief, I will be going away on the 22nd of Sept to Thailand and I really need to cut down the carbs as I have put weight on over the summer. So for me the best way of losing weight fast is to cut out the carbs… It’s not recommended but that’s just how I manage and it works. If you go check out my YouTube video “how I lost 10lbs in 2 weeks” over there I explain everything from how I lost that much weight in that space of time too a long term alternative to maintaining weight loss. I thought I would do a post about this because sometimes I struggle with finding new meal ideas for low or no carbs diets. And thinking about it, probably a lot of you want to see more meal ideas too. I also do understand that carbs are very important in a diet and I will have carbs in my normal day-to-day diet but this is me just cutting down to feel good on holiday. Also to point out I struggle a lot with low or no carbs as I don’t like veg. I am very fussy in my own way. I can’t stand broccoli, carrots, and green beans. I won’t eat cauliflower but I’ll eat it grated with meat and sauce. I prefer raw tomatoes than cooked. And the best thing is, I can’t cook, so it’s either my dad or my boyfriend that cooks for me, and As you can imagine cooking for me is a nightmare. So the list below contains what I eat but I will put suggestions to go with the meal ideas for you too. So here is a list of what I tend to eat on my low or no carb diets. Salad is basically the easy option and can go with anything… omelettes, steak, cheese, you name it. 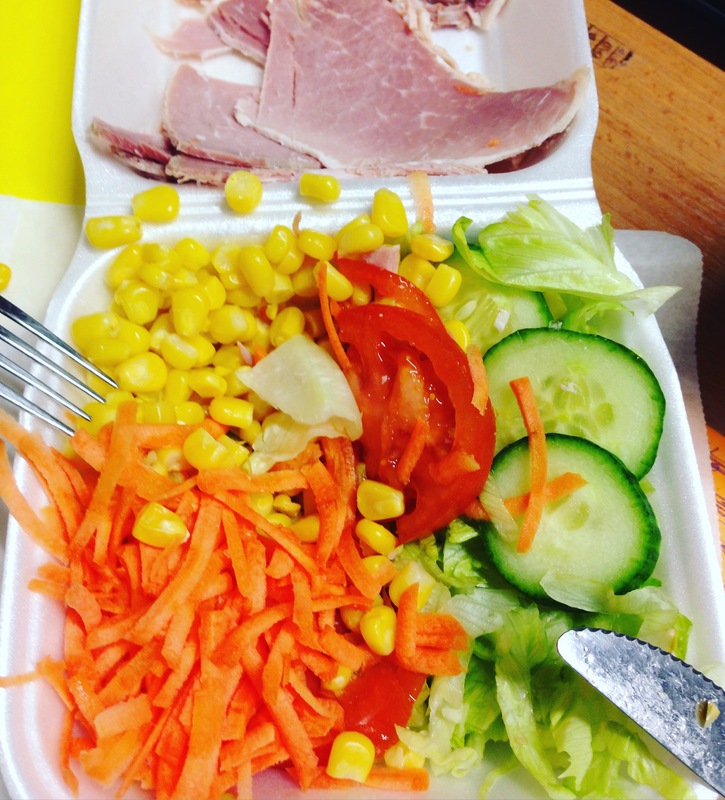 I like my salad very plain and not very keen on lettuce so I would leave it out. But a really good portion size of salad will fill you right up for the evening. This is one of my multiple dinner choices if I run out of ideas for low carb meals. Like I said previously, a salad will go with anything. Seriously an Omelette is such a good way too fill up and you can just add anything too it. I have ham and mushrooms in mine usually but you can add chicken, tomatoes, olives, broccoli, it just doesn’t end. You can also pair it up with some veggies or just on it’s own. Just a tip after frying it, stick it under the grill to let it rise and it’s nice and thick. Eggs is just a good way to fill up without consuming too many carbs. 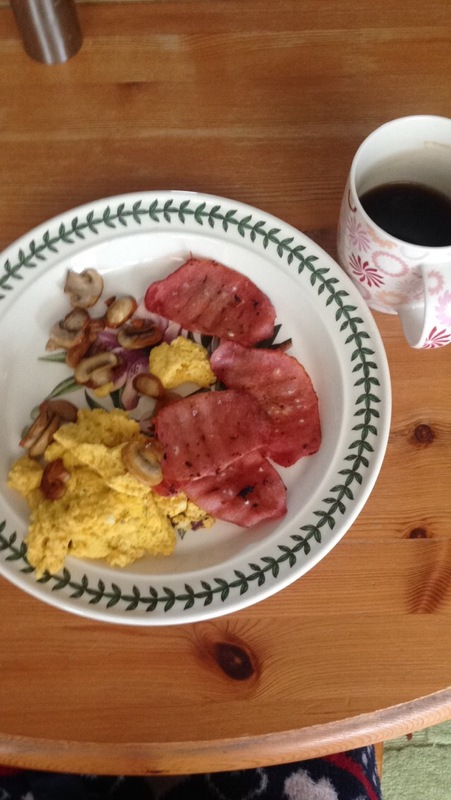 So for me having bacon is a treat and also including mushrooms to add flavour. You can also add Avacado or Grilled tomatoes if you like them. I love my Mexican food.. Fajitas, enchiladas, nachos, quesadillas you name it. On this sort of diet I really do miss my Mexican, but no fear you can do have it as a low carb meal. You can have, chicken, beef or prawns which ever you prefer and mix it all up with some peppers, onions and a Mexican powder. Then what I would do is use gem lettuce as my alternative to a tortilla and then if you want you can mush up some avocado to make some guacamole, and I added black olives to add some flavour. This is lovely and a very low carb meal too. Not only can you do Mexican food you can also do Chinese and have some duck with hoisin sauce and use the lettuce as an alternative to the pancakes. 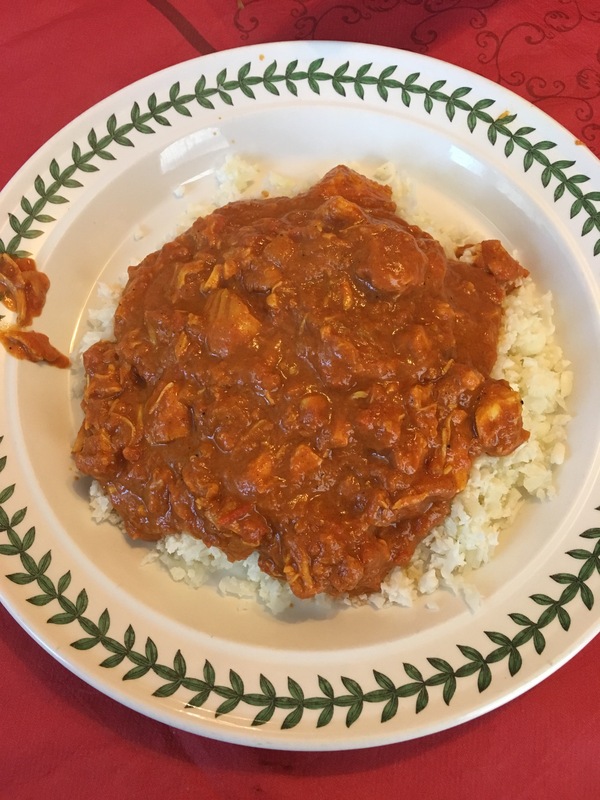 You can easily get a low fat curry recipe online I got mine from Joe Wicks lean in 15 which has a huge range of low carb meal ideas. This was a Chicken Tikka Massala I also have had a fish curry and a chicken korma and what makes it low carb is the cauliflower rice. Grating a cauliflower or buying it ready made is such a good alternative for rice. It doesn’t taste as good but it’s worth it. Honestly when I had it first I didn’t really notice I wasn’t eating rice. You can add so much more with cauliflower rice too, chilli con carne, sweet and sour and any meat or fish. I do recommend adding sauce too it if you’re like me and not too keen on cauliflower. These are easy and simple to make I got my recipe from Lean in 15 from Joe Wicks. 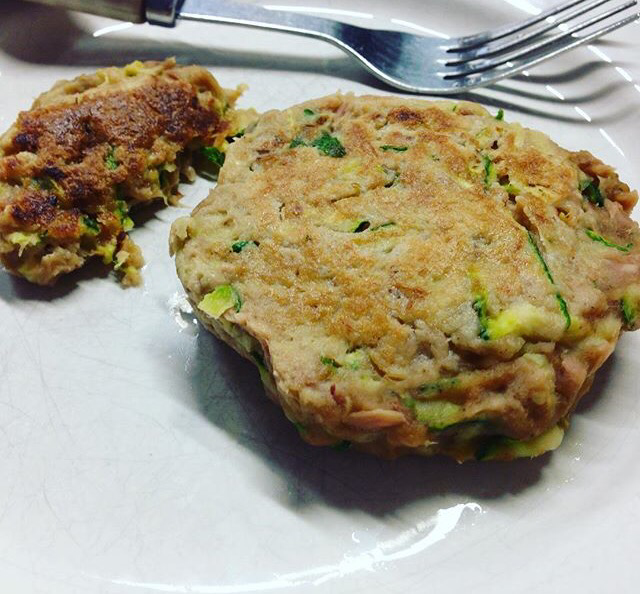 The picture is a Tuna and courgette fritter you can also do a feta and sweetcorn or whatever you fancy really. I used to have these for lunch or cook a bunch and have them as tea with salad just warm them up in the microwave. They fill you up but are low in carbs. You should check some recipes out for different fritters. I get these from Holland & Barrett. 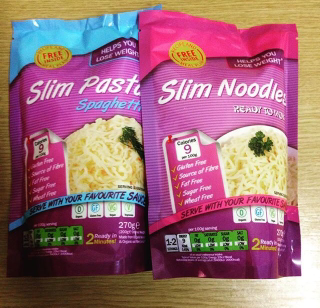 Its made from organic Konjac flour and organic oat fibre Juroat which means low in calories, no carbs, fat free, Gluten free, sugar free, wheat free with only 9 calories per 100g and a great alternative for pasta, noodles, spaghetti they also do rice!! I would have homemade bolognase with the spaghetti, or would have a stir fry with the noodles, can have a curry with the rice.. Just endless options. They don’t taste the same they can be a bit rubbery but honestly if you’re really cutting down and craving then I highly recommend. 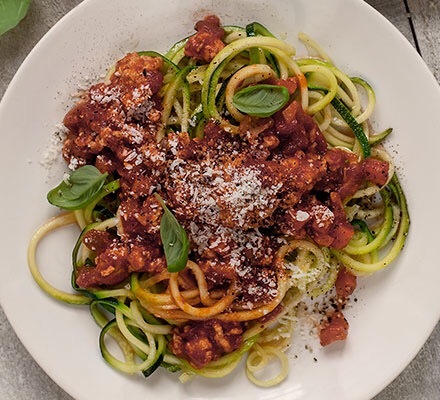 Another alternative to spaghetti is the new craze “Courgetti”. Just spiral a courgette up or grate it and you’ll have basically pasta. You can pair it up with Bolognase, meat balls or carbonara. I tend to pair it up with Salmon and garlic with a bunch of mushrooms. Again it has endless options. When you eat it it’s not that bad, I mean spaghetti tastes a lot better but after a while you don’t even notice you’re eating courgette. If you have any more low carb or no carb meal ideas please feel free to comment them below. I love having feedback and comments from you guys. Thank you very much for reading, I promise I will be doing a lot more blog posts now. I will catch up with you in my next post. Disclaimer: I am no personal trainer or nutritionist. I am me and all the posts on LifeofRhi are all my own opinion from experience. I have lost 42lbs in the past and I am only trying to find out ways to maintain or lose weight and share my journey with you guys.